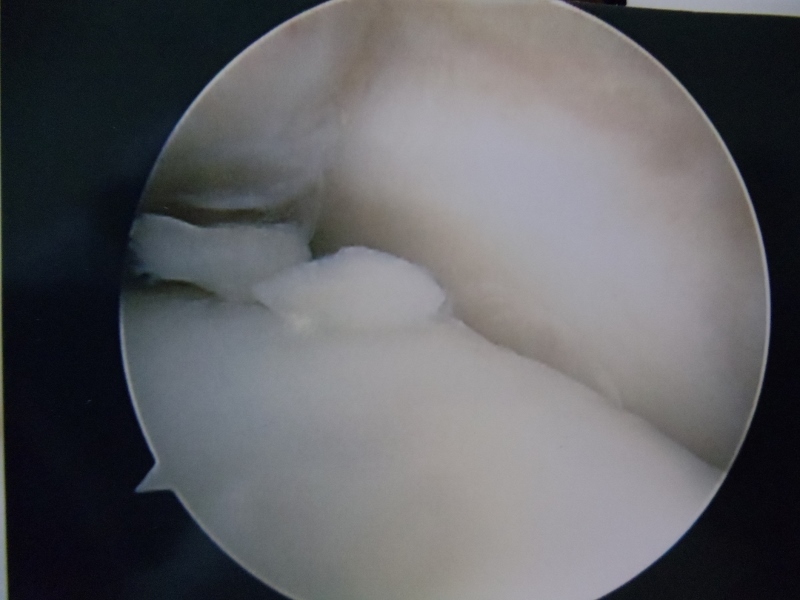 Intraop series of pics of a large osteochondral fracture on the shoulder of the talus in a teenage soccer player. 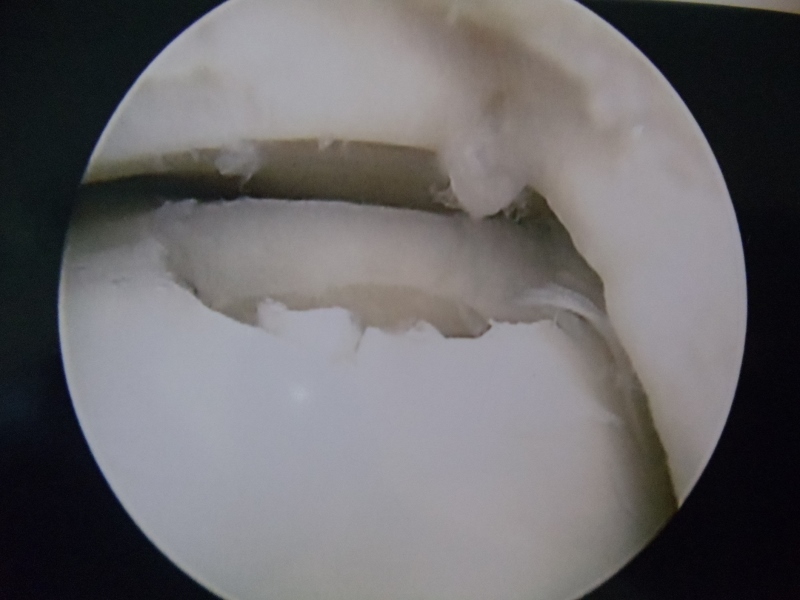 The osteochondral fracture can be seen and it is loose. We are measuring the size on the last 2 pics. 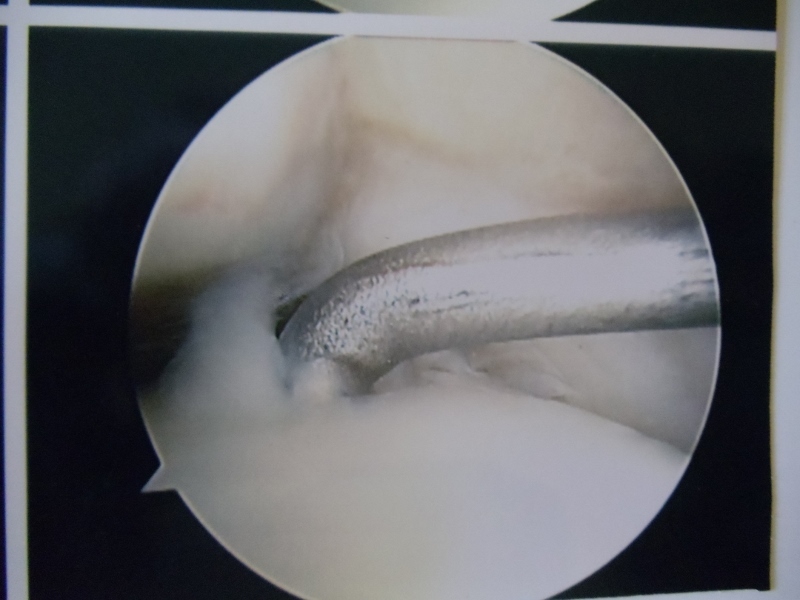 After fixating with an absorbable pin and K-wire.